This soft & flexible folk fondant and gum paste silicone mould allows you to easily mould detailed folk themed designs. This set includes various folk designs, borders, birds & more. 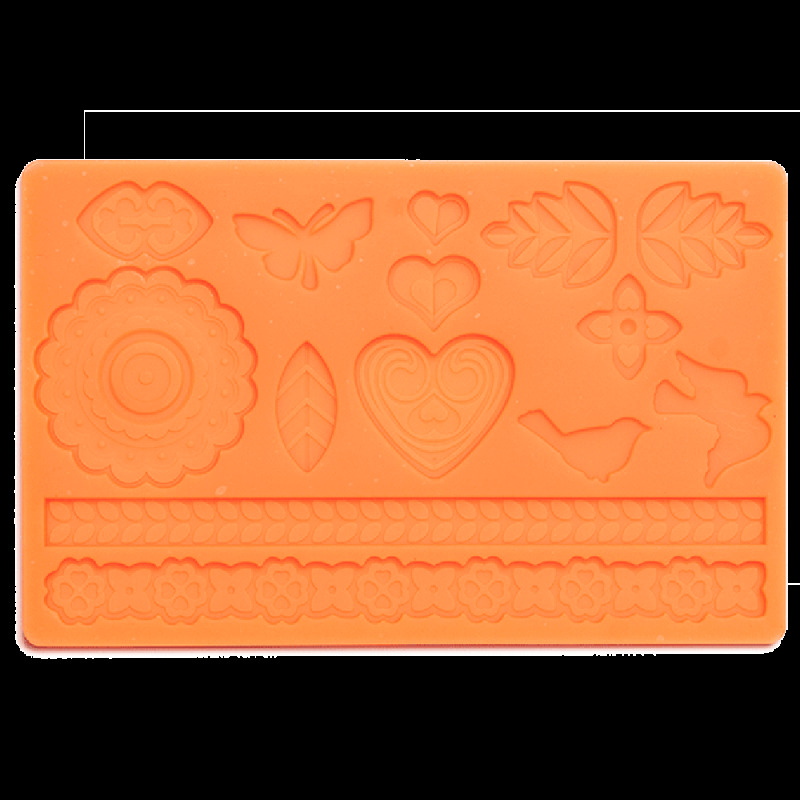 Works with fondant and gum paste. 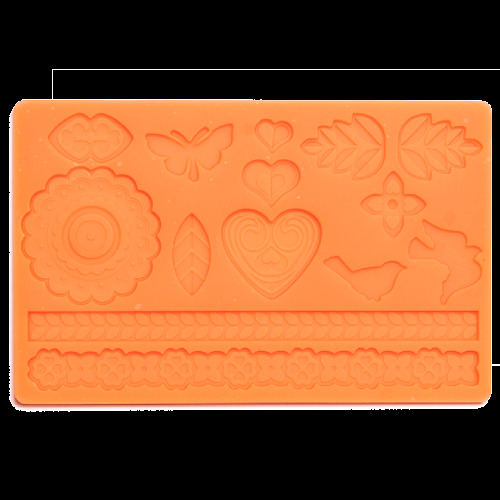 To use, simply dust with cornstarch and press fondant or gumpaste into cavity, lift out and use. 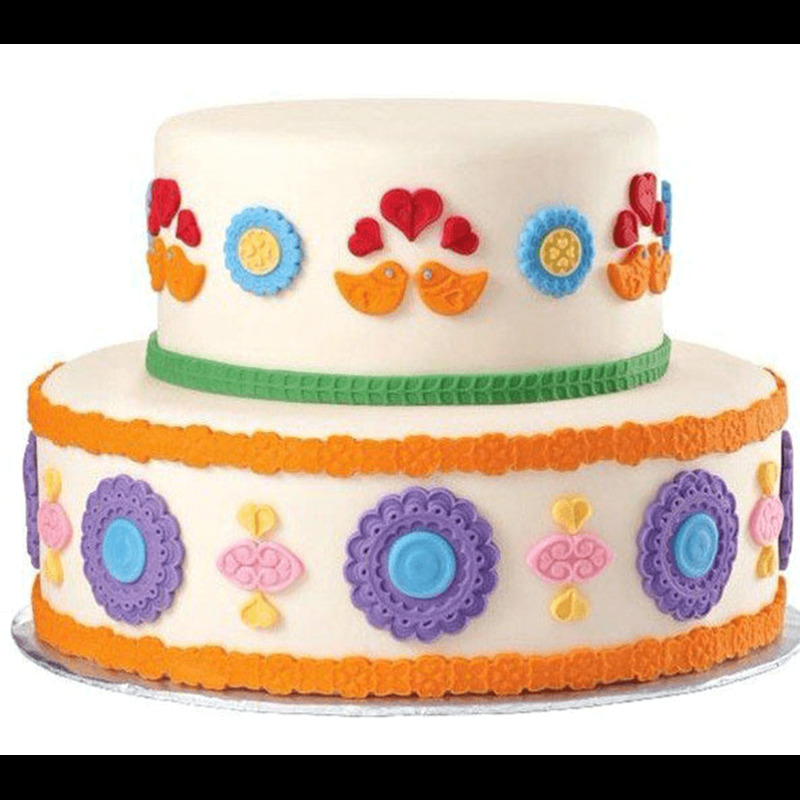 Finished pieces can be placed on buttercream iced cakes or fondant covered cakes to add dimension and colour.